Spring and summer are synonymous with flowers and our warm weather wardrobes definitely reflect it. They’re brimming with floral prints whether they’re tropical-themed, watercolor designs, graphic shapes or retro clashing styles. 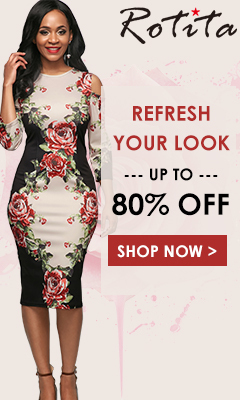 Many of us will always be eager to add another floral print maxi dress or skirt into our wardrobes yet we often fail to carry flowers over to the rest of our look, particularly with jewelry. A floral crown is still a festival staple, but outside of the festival grounds, it can look a tad contrived. That’s not the case with floral earrings. Depending on their size and style, floral earrings can work for a myriad of occasions, including date night, brunch and even weddings. 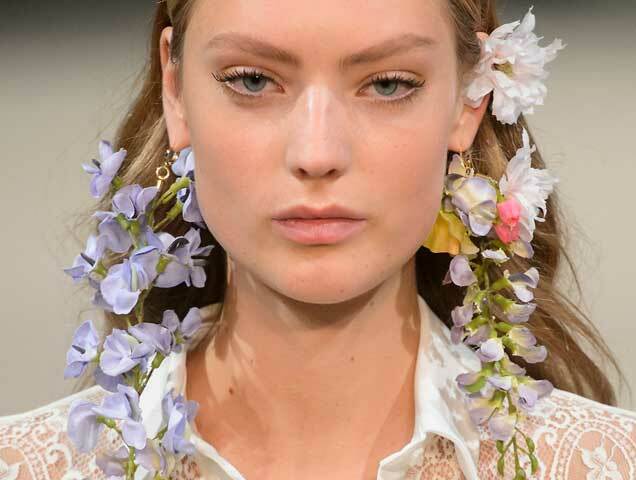 It’s no wonder floral earrings were trending on the Spring 2018 runways. In terms of ear candy, Mansur Gavriel’s daisy studs may have been on the smaller scale, but they were pretty enough for many to take notice. 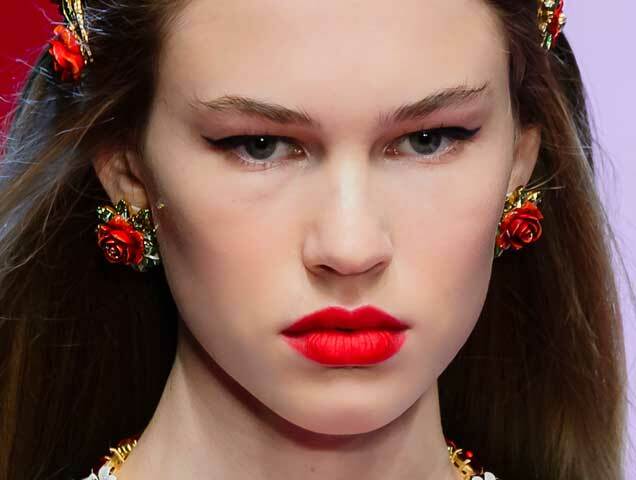 Dolce & Gabbana incorporated floral earrings of sizes large and small into its more-is-more aesthetic by piling them on with gobstopper-size jewelry and ornate headbands. 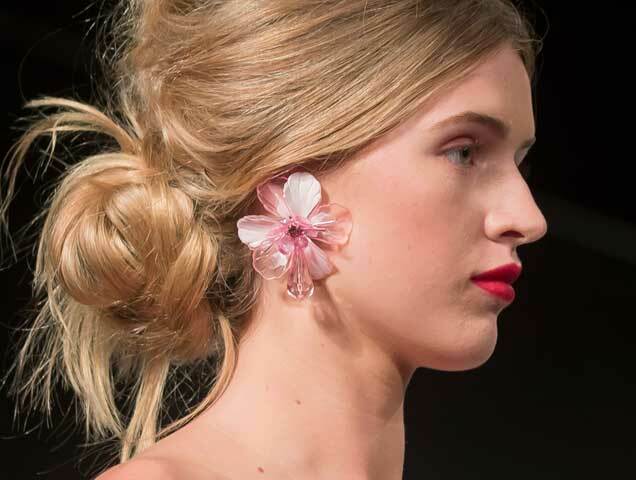 Both Oscar de la Renta and Badgley Mischka’s floral earrings brought ethereal romance with the oversized and dangling styles carrying a lightweight feel of real petals. The most dramatic statement of them all came courtesy of Alexis Mabille who showcased exaggerated blooms adorning earrings and hair. The pieces looked like they were plucked from the garden — stems and all. To embrace the trend, you don’t need to know the difference between a chrysanthemum and a marigold — you only need to recognize a beautiful piece of blooming jewelry when you see it. The great news is, there’s a garden full of choices in terms of styles, colors, flowers and price points. 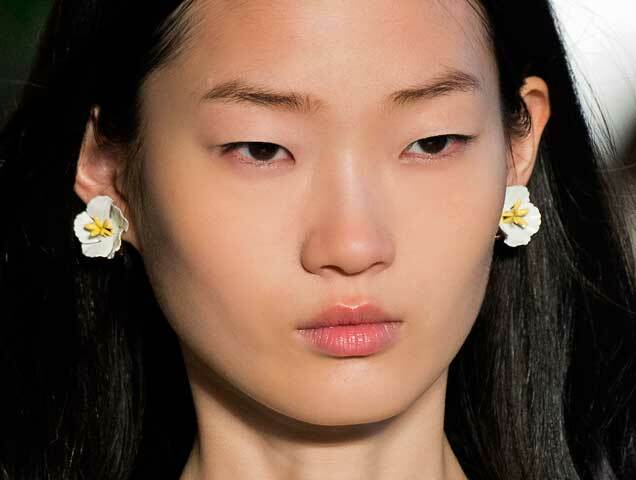 Ahead, shop floral earrings that are pure summer vibes. It’s your call whether you want to pair them with floral prints.